The explorers made very slow progress towards Mount Hopeless. Their lack of strength and the death of their camel meant that transporting water was nearly impossible, and they spent days shuffling between two of the expedition camps on Cooper Creek. The local Indigenous people were hospitable, providing them with fish and showing them how to make a bread-like substance from seeds called nardoo. Unfortunately, Burke remained suspicious of the natives, and rumour has it he eventually drove them away by shooting at one of them. Despite being close to a water source and a good supply of nardoo, the explorers grew weaker. Wills describes feeling nourished by the nardoo, but continuing to get frailer regardless of how much he consumed. Experts have suggested that perhaps the explorers were preparing the seeds incorrectly. 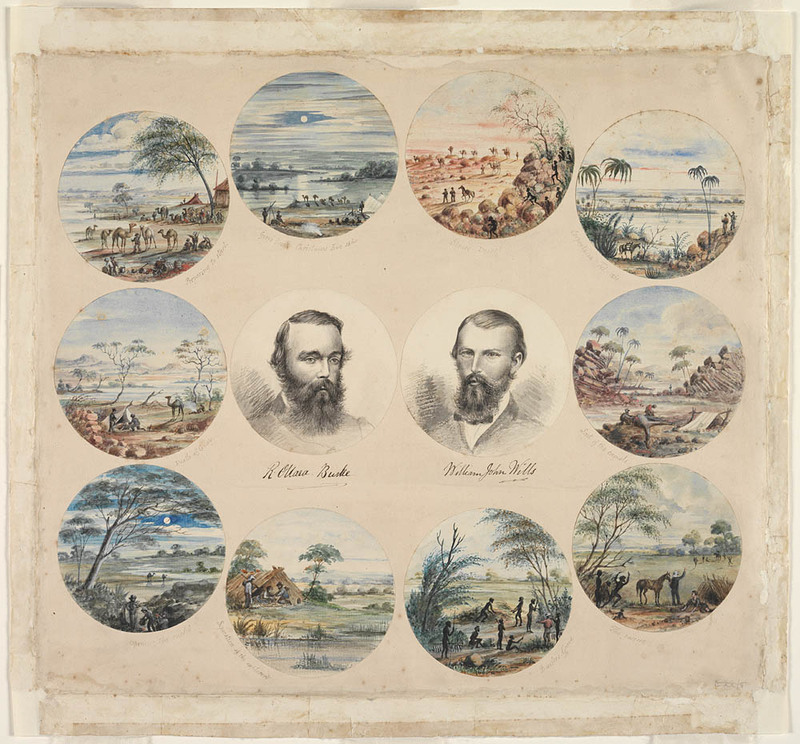 On June 26, realising that help from the Indigenous community was their only chance of survival, Burke and King started up the creek seeking the locals. Wills, at his own request, was left behind under a shelter with some water and nardoo. Nothing now but the greatest good luck can save us; and as for myself, I may last four or five days if the weather continues warm. Burke and King moved further upstream, seeking help from the tribe who’d previously provided them with food. The going was slow and Burke eventually told King he was unable to continue. Burke couldn’t speak much the night they stopped, and died about 8 o’clock the next day. ... treated me with uniform kindness, and looked upon me as one of themselves. 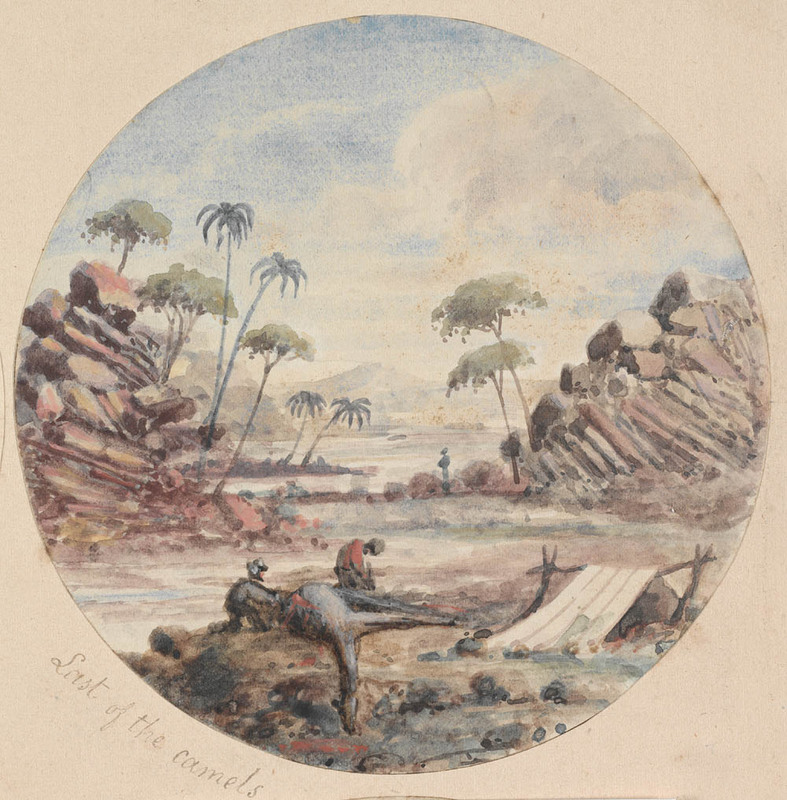 Despite opinions amongst the general population that Indigenous people were hostile, the explorers were pleasantly surprised by the willingness of the local Aboriginal groups to come to their aid. After the death of Burke, King followed the tracks of an Aboriginal group who’d stolen clothes and supplies from his friend’s body. Several states sent expeditions trying to make contact with the missing explorers. The party that eventually reached King was led by AW Howitt. Burke and Wills were both buried in graves marked by simple engravings on nearby trees. The story of Burke and Wills’ doomed expedition remains one of Australia’s most popular legends of exploration and survival. Even at the time, the public remained fascinated by the story long after the initial fanfare of the trip died away. In the months following the death of the explorers, there was loud public outcry demanding news about the missing party. Their story was eventually told in the inaugural issue of The Illustrated Australian Mail, published almost six months after the deaths of Burke and Wills themselves.